AXELOS is to make ITIL® Practitioner – the new certification of the world's most widely adopted service management framework – available in German, Japanese, French and Latin American Spanish as part of an ongoing international expansion. ITIL Practitioner is the most significant recent evolution in the ITIL® best practice framework, which was first introduced by the UK Government in 1989 and is now used in more than 150 countries with more than a quarter of a million ITIL certifications awarded around the world each year. 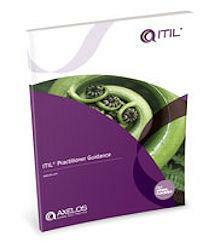 ITIL Practitioner was first launched in the UK in February 2016 and, during 2017, it will be published in the four additional languages. ITIL was first released over 25 years ago and there are on average a quarter of a million exams taken each year across all ITIL levels of certifications. The qualification equips ITSM (IT service management) professionals with skills to successfully adopt and adapt ITIL to improve service management capabilities - organizational change management, communication, metrics and measurement - in line with business goals. It will be the next step after ITIL Foundation for professionals who have already learned the basics of ITSM and the business value of well-designed and delivered services. ITIL Practitioner is a fundamental enabler for applying valuable specialist skills acquired in the ITIL Intermediate Lifecycle and Capabilities certifications. AXELOS CEO Peter Hepworth said: “The development of ITIL Practitioner was a direct response to the feedback we received from ITSM professionals from around the world, who told us they wanted additional, practical elements to complement the existing ITIL guidance. “Whereas ITIL Foundation focuses on the &lsquo;what' and the &lsquo;why', ITIL Practitioner provides individuals with practical guidance on &lsquo;how' to adopt and adapt. This article has been viewed 3660 times.